India is a diverse country, which has a large area of land with a vast coastline, making it unique. 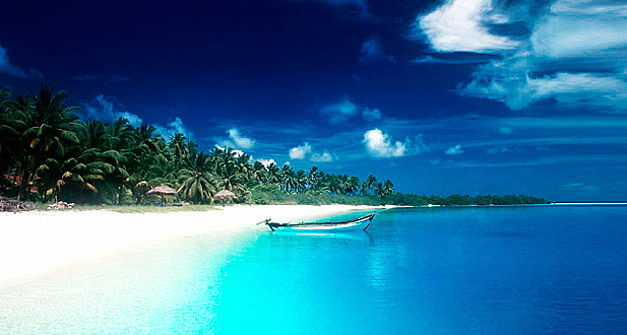 India is famous for its unspoiled beaches clean. Some of them have become very popular, while others still remain intact. For those who like to soak up the sun, represent seven of the best destinations for a beach holiday in India. Lakshadvipskimi islands are not very popular beach destination, but that’s what makes them even more attractive. 36 islands located in the Arabian Sea in southern India. Populated only 11 of them, and they are famous for its coral reefs. The beaches here are very romantic, as they are solitary and without well-developed infrastructure. A few high-end hotels and other budget accommodation options in bamboo huts at an affordable price. Night life is almost nonexistent here, so it’s a great place for those wishing to spend a quiet secluded beach holiday.